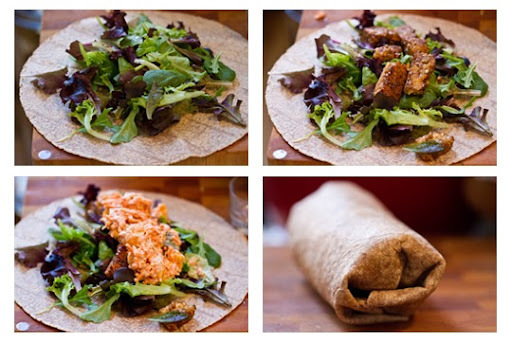 Tempeh Nutrition Facts and Recipes! Tempeh is a soy product made by fermenting whole soybeans. Tempeh is a super food. Sadly, I've found many people have never even heard of tempeh! Wha?! How?! It's so yummy! It's a must try curious cooks.. But be warned, tempeh is the underdog of vegan protein products. Well just look at it! Instead of a friendly, silky smooth, shiny texture tofu-esque texture - tempeh is bumpy, hard and sometimes discolored in shades of cream, brown and gray. But don't let it's rugged exterior looks fool you. Before you judge - do a taste test..
1. Whole beans - Tempeh is made from whole soybeans. 2. Easier to digest - The tempeh fermentation process changes the properties of the soybeans. As a result, tempeh can be much easier to digest for some individuals. Enzymes and fermentation also release and 'pre-digest' some of the nutrients and allow the good stuff like zinc, iron and calcium to be more easily absorbed by your body. 3. High fiber content - One serving of tempeh contains more fiber than most peoples consume in one day. Around 7 grams per 4 ounces, a 1/2 cup. 4. Nutty Flavor - Tofu is bland ...some people say. Tempeh has a unique nutty/savory/bitter/fermented flavor and texture that many people, including me, love. 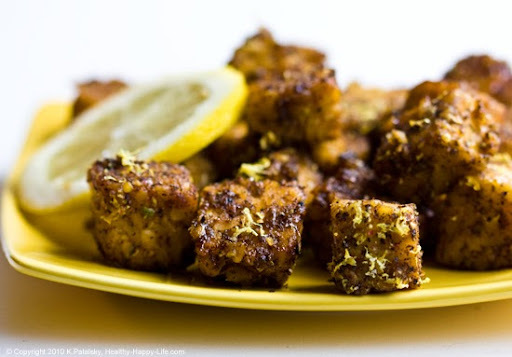 If you have a super picky eater, try EVOO/maple syrup sauteed tempeh sticks with flavorful, familiar dipping sauces - and they will love it. Tell them it's like fries, only healthier. 5. Low Sodium - Tempeh is extremely low in sodium, which is rare for a fermented soy product (like miso). 6. Natural antibiotics - Rhizopus moulds produce natural, heat-stable antibiotic agents against some disease-causing organisms. Indonesians who eat tempeh as a regular part of their diet recognize it as a medicine for dysentery and rarely fall victim to the intestinal diseases to which they are constantly exposed. 1. slice tempeh into triangles - slice thin. 2. 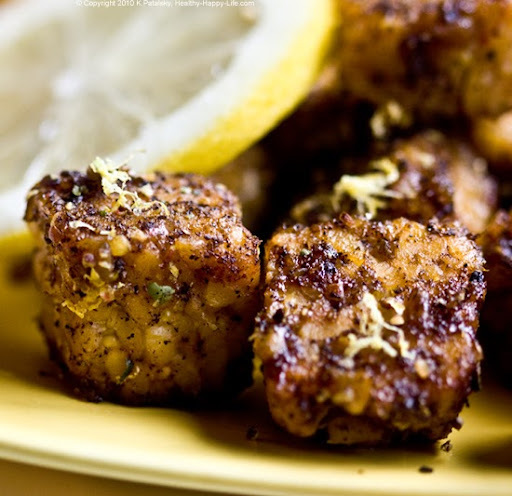 Soak tempeh triangles in a marinade of EVOO, maple syrup or agave syrup, lemon juice or vinegar, sea salt and pepper. 3. Saute on high or grill until edges brown. 4. 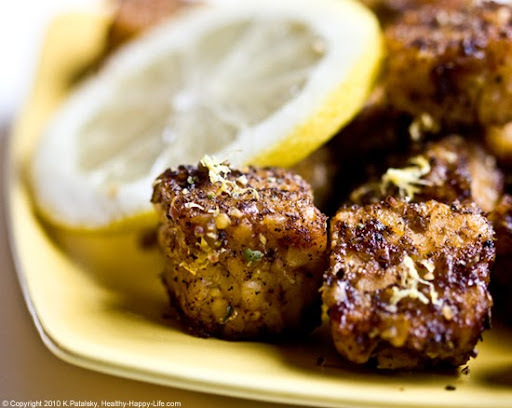 Remove from heat - drizzle leftover marinade over top - pinch of salt/pepper and serve! Serving Suggestion: I love adding these easy tempeh triangles to the top of a big green chopped salad.